This entry was posted on October 31, 2017 by Marketing. Some say that Tampa, Florida is the lightning capital of the nation. But, lightning doesn’t have to strike twice for investments to pay off in this economy. An affordable housing market, access to beautiful beaches, and a low unemployment rate make Tampa a place to keep on your investment radar. The housing market in the Tampa-Saint Petersburg continues to strengthen. Standard and Poor’s Core Logic Case Shiller Index reported that prices rose 6.9% in the Tampa metro area in the past year, ahead of the national average of 5.7%. Despite that increase, the median home currently listed has a price of $279,000. What’s more, in January, Tampa entered the Realtor.com list of the top twenty housing markets in the country, landing in 18th place. In a new report by Zillow, the Tampa Bay area was recently declared as the second best market for first time home buyers, only trailing its intrastate rival, Orlando. In a time when first time home buyers, especially millennials, are shut out of the market in many regions, the affordable homes available in Tampa and surrounding cities present opportunities to jump into home ownership. Of course, this makes the market attractive to investors as well. Zillow also found that Tampa offers one of the shortest break-even periods, the point where owning a home is cheaper than renting. This comes after only 22 months in Tampa, compared to up to 60 months in San Francisco. As more younger buyers take the plunge, it will continue to invigorate the housing market. Tampa’s job market is strengthening along with the rest of the country. As the traditional tech hubs such as the San Francisco Bay Area, New York, and Los Angeles become ever more expensive, many tech jobs are migrating to lower cost areas, including Tampa. In a recent report, job recruiting website Ziprecruiter.com ranked the Tampa Bay area as having the 17th highest tech job growth in the country. This speaks to the opportunity for investors to enter the market and help meet the housing demand. 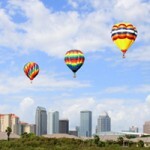 Tampa has many other qualities that make it a great place to live, starting with the low cost of living. The affordable housing and the lack of state income, inheritance, and estate taxes make your paycheck stretch that much farther. The area offers a relaxed lifestyle, along with entertainment, fine dining and museums. There’s plenty for the family as well. Beautiful beaches are a short trip away in St. Petersburg and Clearwater. Busch Gardens will entertain the family thrill seekers. There are three major sports teams, the Major League Baseball Rays, the NHL Lightning, and the NFL Buccaneers. There are quality schools both in the city and the suburbs, and highly ranked colleges such as the University of South Florida, the University of Tampa, and Eckerd College. 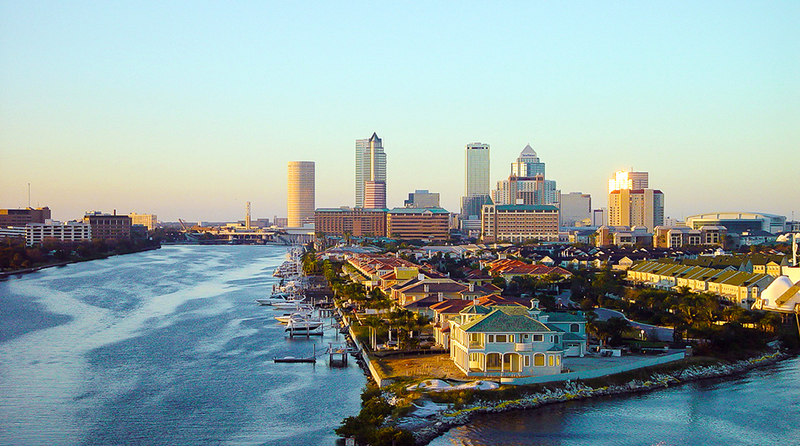 If you are considering investing in Florida real estate, be sure to check out the Tampa area. Connect with the team at Patch of Land to learn how we work with real estate entrepreneurs like you. This entry was posted in All Projects, Building Wealth and tagged Tampa, florida, housing market, real estate investing on October 31, 2017 by Marketing.